At the beginning of July, three students from Nunthorpe Academy arrived at Boulby Mine to complete their work experience. Jonae, Calumn and Jacob, who are in Year 10, are currently studying towards their GCSE qualifications. 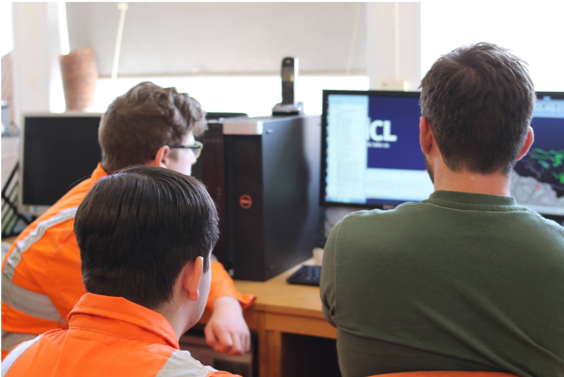 The placements, offered by ICL UK, aimed to provide the students with an insight into their potential career choices and to introduce them to a professional working environment. Jonae spent her working week assisting Bessie and Amy in The Gatehouse, where she learned secretarial skills and the administrative processes at the mine. Bessie was very pleased with how Jonae approached the week and her attitude towards the placement. 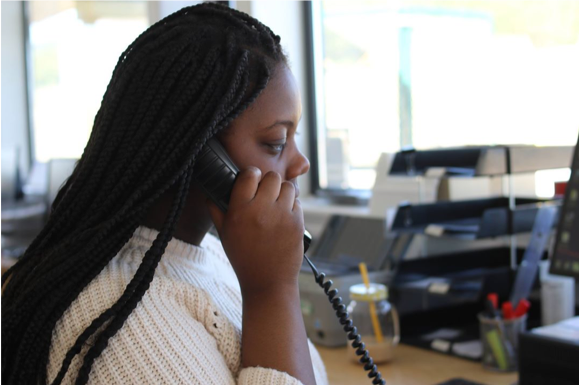 Jonae felt that the week ran smoothly, with the only issue relating to not being able to hear people properly on the phone. While Jonae worked at The Gatehouse, Calum and Jacob spent the week with Phil Bedford in the Engineering Department,at a range of areas from geology to project engineering. We asked Calum and Jacob how they thought the week went. Calum said: ‘It was really good. I had fun’. Calum and Jacob developed skills in a range of areas and disciplines of engineering. Phil said: ‘They gained an appreciation of many aspects of not only engineering, but also of the general business environment. Briefly, they have covered; Electrical and electrical engineering, fabrication, instrumentation and control, project engineering, metallurgy, analytical laboratory, geology, procurement and warehousing, cost control and SAP. As well as developing their skills, Calum and Jacob were really intrigued by the Polyhalite plant on the Boulby Mine site. Both Calum and Jacob said they would be happy to recommend ICL UK to other students who are wanting to follow the same career path. All three students performed very well during their work experience week and ICL UK looks forward to welcoming more students in the future.